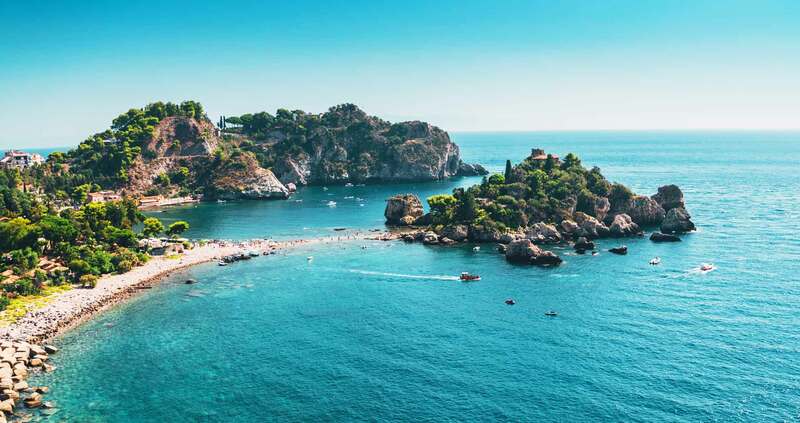 Isola Bella is a gorgeous pebbled beach which includes an islet of the same name. 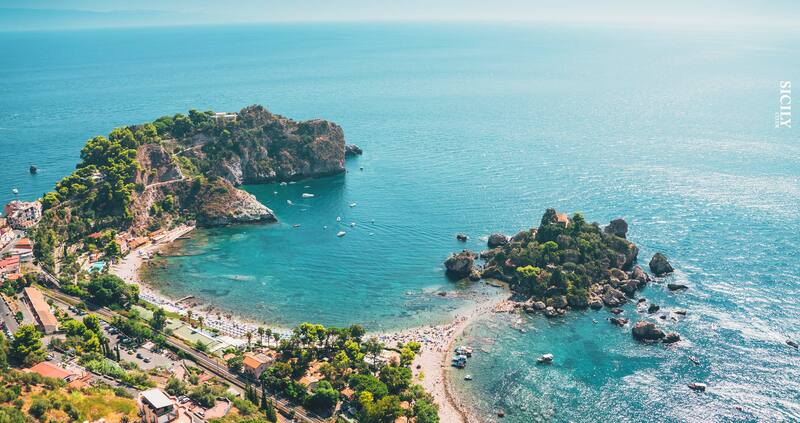 Isola Bella, known as the Pearl of the Ionian Sea, is considered the most charming and gorgeous beach of the district of Messina. Placed close at the foot of the town, the bay has a pebbled beach, but the most important attraction is the islet of the same name located in front of the beach characterised by a lush vegetation. The islet is connected to the mainland by a narrow strip of beach which is covered by water at high tide. Water is blue and clear, full of spectacular marine flora and a fascinating seabed.